A few thoughts on 2017. In times like these I have found history be to be illuminating and mollifying. Perhaps that is why there have been so many excellent histories to hit the market. It may also explain why Hamilton is such a monstrous hit. We are all biased. The best we can do is to try and substitute curiosity whenever we can. Economics is limited- principles matter more than data and analysis. Culture matters more than I realized or prefer. Policy matters less. I hope this reality is only temporary. Perhaps that is the definition of populism. Analysis that is illuminating to describe history is not likely useful to predict it. Those who do learn from history are rare, but very valuable. History is inherently biased; most of the elements that have advanced us are not interesting enough to be recognized or recorded. Clear thinking requires much more than intelligence. Intelligence can even be a hindrance. 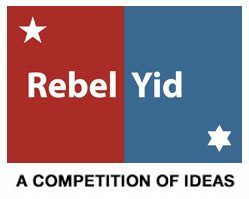 A final note: the Rebel Yid blog has finally been updated to be mobile friendly. The LINK page has my favorites in bold and the blue bold titles are the ones I visit the most, or have content I find consistently to be the most valuable. I will have a page soon for writers who want to submit their work.